Place salmon on a lightly oiled sheet pan or in a shallow baking dish, folding under thin outer edges of fillets for even cooking. Top salmon with chopped tomatoes and green onions, and season with salt and pepper. 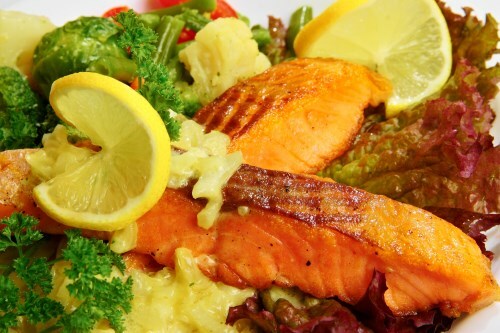 Cook salmon in the preheated oven, uncovered, for approximately 20 minutes. Fish is done when easily flaked with a fork.